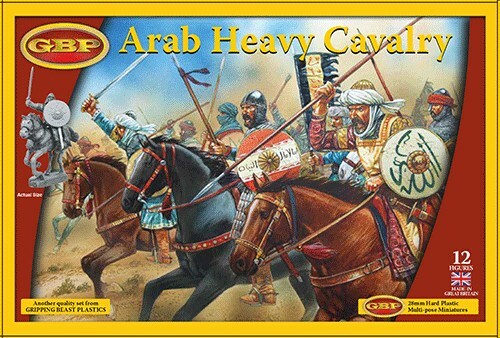 12 Multi-part Plastic Arab Heavy Cavalry and bases. Comes with enough parts to make either 12 spear armed or 12 bow armed chaps or some mix of both! Contains extra head varients, separate bow cases and quivers, alternative arms with swords or trumpets. All in all, jolly nice.